Take a look outside this morning. Finally a good, big and happy snowfall. Looking out my window I see a bunch of runners. Shorts and singlets and spikes, that’s it. That fella over there nearly browned out in mud, another’s bare legs pink as a Maine lobster. And him with the sanguine rivulets showing the closeness of competition. 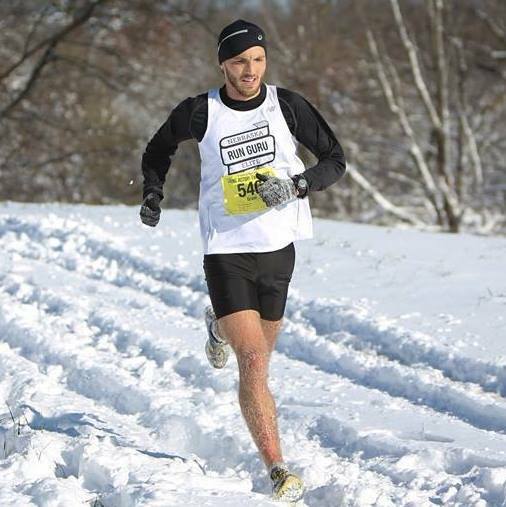 Real Runners Love Cross Country. A good place here to acknowledge one of the earliest influences of my own running career. Craig Virgin grew up a couple of years (Track and Field News HS Athlete of the Year 1973) before and a couple hours south of me. Still holds the Illinois Boys HS XC State Record of 13:50.6 set in 1972. Craig ran 8:40.9 for two miles to break Steve Prefontaine’s national record of 8:41.5. Ran 27:29.16 for 10000 in 1980, the second fastest time in history when recorded. Two time IAAF World XC Champion. That’s the one that I admire the most. World Champ. Twice. Dig it. When the United States had No Fear and Big Balls. I’d suggest before a large majority of you readers were no more than a twinkle in your daddy’s eye. It’s the one in a generation that you remember. A hero in the midst. Seth Hirsch just off the front trio. 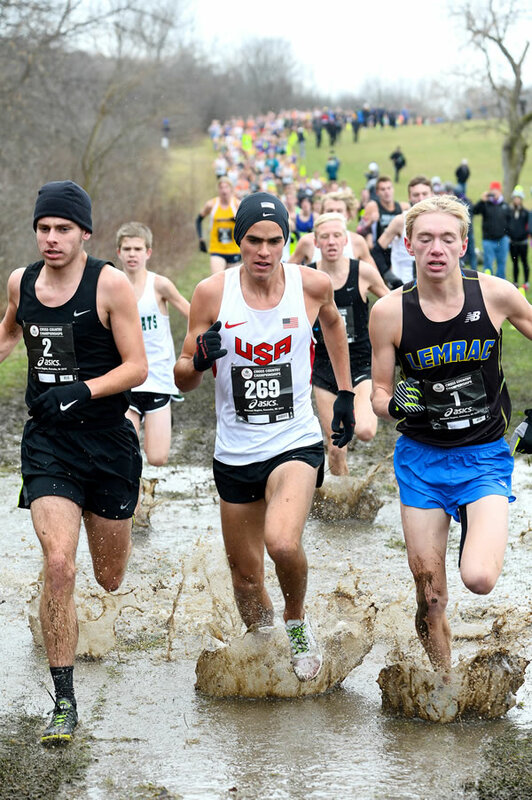 In the mud, nothing like cross. The top four runners all broke 15:00 . 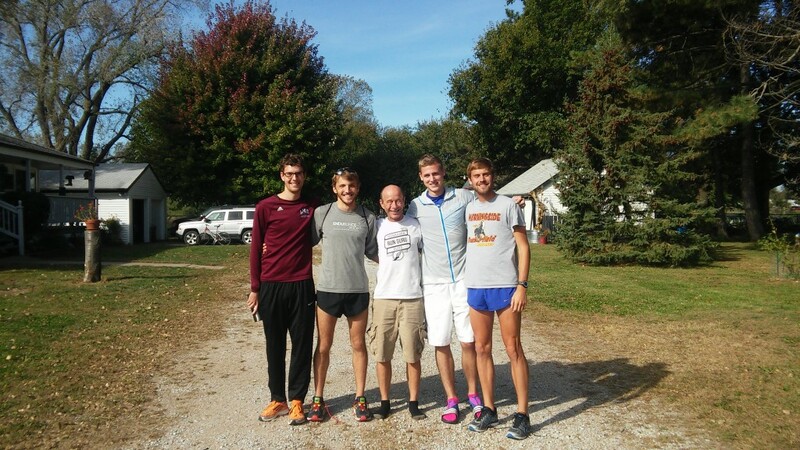 Jonathan Davis, Oakwood IL (14:57.0), Paul Roberts, Longmont, CO (14:57.7), Ben Veatch, Carmel, IN (14:57.9), Andrew Jordan, Pataskala, OH (14:59.1). 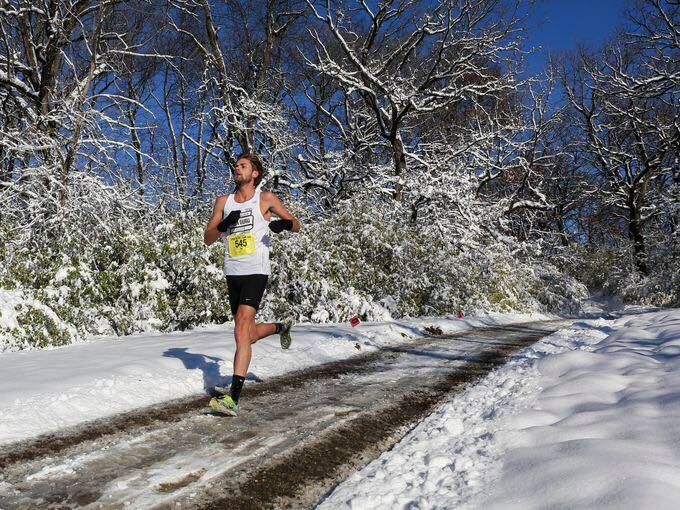 Next was Brayden Law, Fort Wayne, IN (15:03.2). And in 6th overall is Seth Hirsch (15:11.3). Congratulations to Coach Johnston and young master Hirsch! This entry was posted in Uncategorized on November 30, 2015 by runguru. Bidding adieu to that pair of digits. Tomorrow kicks off my next trip around El Sol, this wild, wonderful, wacky ride called life. What can I pass on to you from a life time of living? What wisdom can I impart that might be of benefit, if only to a single reader? Ten things that hopefully strike a chord. 1. It doesn’t matter what you do, enjoy it. If you love this you are blessed. 2. Real Love exists. Deep, Respectful, cry with happiness every day, hold each other tight at night Real Love. 3. Service to Others exceeds any number on Line 37. 4. Real Friends are Loyal to Each Other. 5. Life is Dynamic. You can Learn and Do Better. Always. 6. Accept Self Responsibility, see above. 7. The Truth Sets You Free, see above. 9. Two Men See a Stone. A Rock. A Gem. Both Right. 10. Loving Partner, Good Dog, Good Garden, Good Library, Wood Burning Stove. Jedediah. Loving, Loyal. 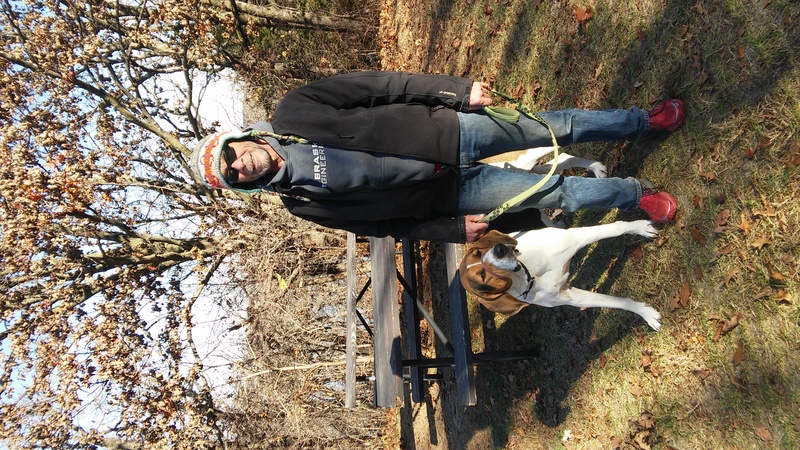 Free Ranging at Platte River State Park this week. This entry was posted in Uncategorized on November 27, 2015 by runguru. I hope you’re ensconced with family by the time you are reading this. Going to be some rough going on the roads tomorrow. More typical weather than what we’ve been spoiled with to be sure. Hope there are some fast times in the sundry Turkey Trots, I’m resting the lads after LHF so go get some. And for next year’s Lincoln Marathon winner, I’ve given her the green light to hop into her hometown half marathon. Promises to not race and keep things in perspective, the first steps into the master plan. I’ll miss the Fremont Turkey Trot. I used to trot my former team to the annual 5 miler. Remember when David Adams and Peter vd Westhuizen raced each other? The good old days. My “grandstanding” as it was described- gathering the mates for the obligatory pre race start line photo- raised eyebrows, even prompting a certain talented master runner to retire from my services. Oh, the holiday stories! Another day another girl. This time from upstate NY. My reach only as long as needs be. 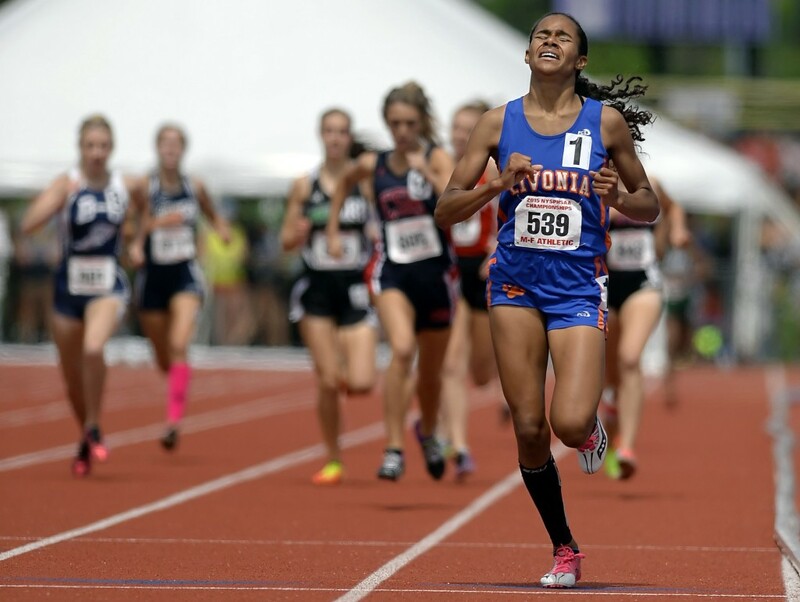 Third at last week’s Class C State Champs. Hayleigh Palotti. Keep that name on your good list. Heads up! Logan Watley and whomever decides the competitive schedule at Team Nebraska! I’ve initiated discussions with Iowa RunAblaze, Training Run Kansas City, and the Kansas City Smoke about a series of 3 races next year. Nebraska Run Guru Elite partnering/hosting with a local event RunAblaze and Kansas City each returning the favor. Prize money. Elite Amenities. Pride. 2011. The past. Yes, it was my position that a USATF Elite Development Club should actually race locally and often, be In It To Win It. As an author of USA Track & Field’s EDC program that is what it is about. Really it is. 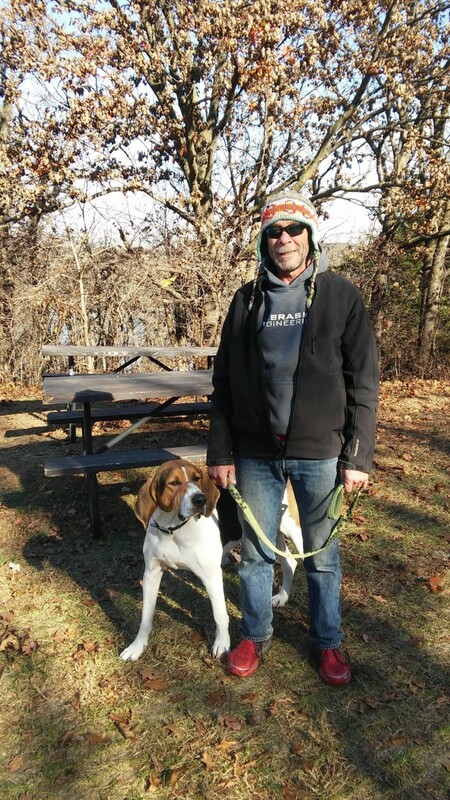 This entry was posted in Uncategorized on November 25, 2015 by runguru. Some well earned tips of the sombrero today. Big news, big time, big tips! Pink Gorilla and Born and Raced in Nebraska have merged, revealing the future of professional level race management. Ben Cohoon, Jason Bakewell and Zach Harsin will combine their ample forces overseeing what promises to be the next generation of our running experience. Look for more great stuff geared towards making sure everyone enjoys their offerings. Including a little something for the elites. Prize money! I’ve thanked Ben and let him know that our NRGE mates will be taking every thin masculine dime. Hyperbole? You aught to know better. And well deserved accolades for Tom Whitaker and Darren Konda this past weekend as they were inducted into the Omaha Running Club Hall of Fame. My old buddy Cal Murdock issued his regular Iowa RunAblaze e-blast this morning. Headlines read “Iowa Beats Nebraska”. Proud as he can be a deservedly so. I let him know right away that Nebraska Run Guru Elite will be bringing it to them next year. Odd day yesterday. I’d heard from a father asking me to come to the 68752 zip code to watch his waif of a daughter run. He had told me some things (home schooled, barefoot runner) that made the 2+ hour drive intriguing. I wandered around Madison county until an old geezer waved his finger “South, about 12 miles on the oil road to the dead end, go left”. Guy was slopping his hogs with his two sons and the daughter, all ankle deep in doo doo when I pulled up. The boys maybe 15-16, the girl obviously much younger. Brief introduction, little girl sheds her boots, and immediately starts running circles around the stockyard. Fast. Really fast. Really, really fast. Mud and dung flying off her bare heels, fairly skimming along and around. Maybe the best 5 hours I’ve spent this month. I left with a promise. This entry was posted in Uncategorized on November 24, 2015 by runguru. Every year there are one or two columns that stand out for me personally. Today is one. The Fellas. Grant and Jay and Kevin and Drew. Those guys. Our guys. My guys. Most of you have already seen the Living History Farms results. Thank you for bearing with my Monday morning reverie. Trumpets blaring our intent to be In It To Win It. Some of you thought I was full of it. Nope, full of confidence. The closest race in event history decided by only 9 seconds. Iowa RunAblaze taking the measure of Nebraska Run Guru Elite. The most competitive race in event history. Mason Frank, tips to you, don’t know how the heck you beat Grant to the line. Grant 2nd overall, Jay 3rd, Kevin 13th, and Drew Prescott 20th. And to Cal Murdock, my colleague and partner in crime, for everything he does for RunAblaze. 2. Nebraska Run Guru Elite (1:30:45, 15 places) Grant Wintheiser (22)-29:04, Jay Welp (23)-30:21, Kevin Joerger (22)-31:20, Drew Prescott (23)-32:04. 1) I added ages to every competitor for a reason. The four youngest men in the elite field, yep, ours. And now, after the closest race in history, more solid as a team for it. Hungry. Points to prove. Chips on shoulders. Polite, respectful chips. Notice served, we are the best USATF Club in Nebraska, politely. 2) This was Kevin Joerger’s first time ever to see snow. Didn’t even own a coat 3 weeks ago. Think about that. He was released to regular training the same day. Drew Prescott returned to training on the same day. Thanks to Stodden Physical Therapy for getting our mates to the line. 3) Brian Wandzilak is an ageless stud and I’m glad to see him have such a great race. And this. I reached out to Logan Watley after seeing the LRC Co-Ed 3rd place team. One athlete only from LRC, a couple with no affiliation, and one from Team Nebraska. Not a championship race granted. Team Nebraska’s Cory Logsdon, (the first Nebraska finisher not wearing our kit) represented LRC Racing. Cory is still, I hope, an old buddy. But! To combine athletes from clubs, and/or add non members, flies directly in the face of bona fide, honest, team competition. How strongly do I/have I felt about this? It was and is the ONLY RULE I’ve ever had. Your run for me, you NEVER, EVER, run for another club. Period. One of the saddest chapters of my time in Nebraska illustrates this perfectly and shares a similar genesis. I had been coaching and working with an incredibly talented young lady, improved her marathon personal best by 17 minutes and had hopes for her qualifying for the US Olympic Trials Marathon. She had been approached and convinced that it was OK to run Market to Market for another club. I had a long talk with Kaci Lickteig and explained to her why she would have to choose between racing for her club or with her “friends”. She left the club and qualified for the Trials less than 60 days later. Principles. Some times a tough pill to swallow. But you know what my position is. And know too that now there is a group that embraces it. Grant led the Good Mates. Jay was next across the line. Our debut. Bar None Big Dogs out from under the porch. Giddyup! This entry was posted in Uncategorized on November 23, 2015 by runguru. Today’s question: Would you dedicate yourself to a life’s passion if no historical record would ever know you? No laruels. If in it for the right reasons accolades matter not. In 2001 I started making it about you. Those that aspired. Spent the next 12 years describing and implementing a vision met with glad tidings and stiff resistance. Fought the battles of my professional life for the program. For you. The critics, not as legion as in former days, but very vocal, will still try and convince you that my efforts are completely self serving. Yep, 35 years of service to the sport stuffed tidily into that nutshell. Preferring that I be completely written out of the historical fabric of our association. And disappointing if not surprising, I’ve been scrubbed from the historical archives of my former club. Like 12 years just magically happened, I never existed. Fourteen years and hundreds of athletes later, my hopes are that your ledger differs. But not mandatory. I’d do it all again. Without any fanfare. Certainly without the drama. Without any recognition. For you. If you aspire. And for you seekers, looking for my truth, not far to go. http://rungurusays.com//?page_id=4843 The author’s version vs. revisionist history. This entry was posted in Uncategorized on November 20, 2015 by runguru. Getting the beak wet. Dipping into the trough. Respect. You’ve got to make a significant contribution, or display a minimum of maturity, in order to have a place at the adult table. The good news is that there is always next year. Ah but that taste, once you get it, exciting buds and salivary glands, fairly drooling as it were. It should be incentive enough to sit up a little straighter, do all the little things that are commensurate with favorable graces. And of course I’m typing out of both sides of my brain this morning. I could easily be talking about Really Earning your stripes as a racer. About how you don’t just show up with an attitude or presume to usurp authority simply because of artificially elevated self worth. You know who you are, bad boys and girls, spoiled brats, to the children’s table with you! No, today I’m talking about my beloved Chicago Cubs. Jake Arrieta wins the NL Cy Young. Kris Bryant Rookie of the Year. Joe Madden Manager of the year. The beaks are wet! Bring on 2016! Thanks to my old buddy Craig Christians for pointing out he has run the last 18 LHF and has scored hardware every single year. What a crock! And to Gary Dougherty for reminding how NDORFNZ Masters Men spanked Team Nebraska in 2008. And to Jordan Tucker for making my day with his own LHF memories. This entry was posted in Uncategorized on November 19, 2015 by runguru. Three simple little letters. LHF. The Race. Not the novelty. Up Front. Always First Class Competition. And Deep. You Win This and It Matters. Why? 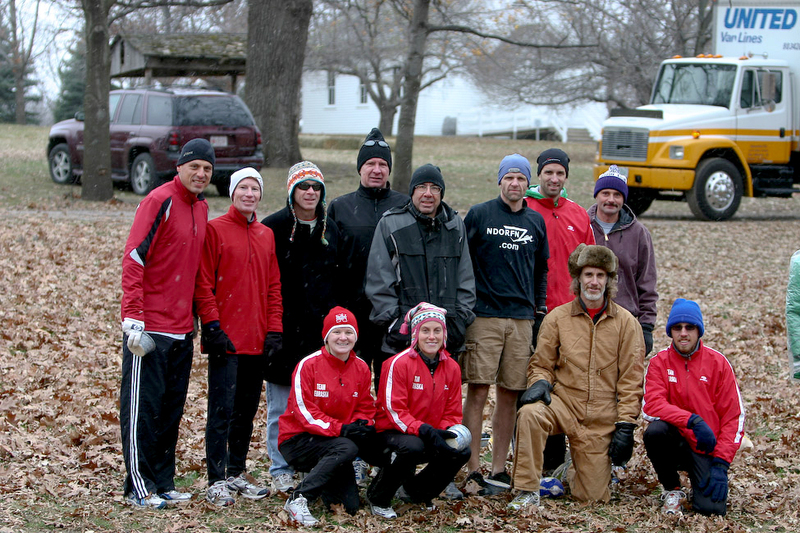 Because you establish yourself as maybe the best cross country club in the Midwest, that’s why. Teams from Wisconsin, Minnesota, Missouri, Nebraska, Kansas, Iowa, and beyond. Good ones. That’s why. Team Nebraska has not had a team presence since 2012. LRC Racing has regularly sent a team. Hopefully both will have kits on the line this Saturday. I’ve always held this to be the most important regional race of the fall. Thanks for taking a moment to see why, some significant and historic Nebraska moments over the last 12 years, most as I rode over my previous herd. Henkes Heroes out of Wisconson. Downin a Trials Qualifier, Dennis a 5K Road National Champ, studs all. Runnin Lopes, this is how close I missed both Garringer and Jessop, I would have loved to have had the chance to work with them. Top 4 Male Overall * Matt Pohren-38:56, Randy Bill-39:36, Mason Frank-39:38, Julius Rotich-39:56 *First Nebraska Winner—Only :15 separating Run Ablaze and Team Nebraska!! And finally some take aways. Matt Pohren, as a back to back winner and course record holder, has forever etched his name deep in the LHF book. Shannon Stenger is Nebraska’s Iron Man. Is Wandzilak far behind? And as a fond reminisce to all the athletes that ran LHF for me through 2012, thanks. You took up the challenge, heeded the carillion’s peal to competition. And those before my tenure, thanks to you for having the fire, and those who have picked up the call since, keep it up! The Good Fight! 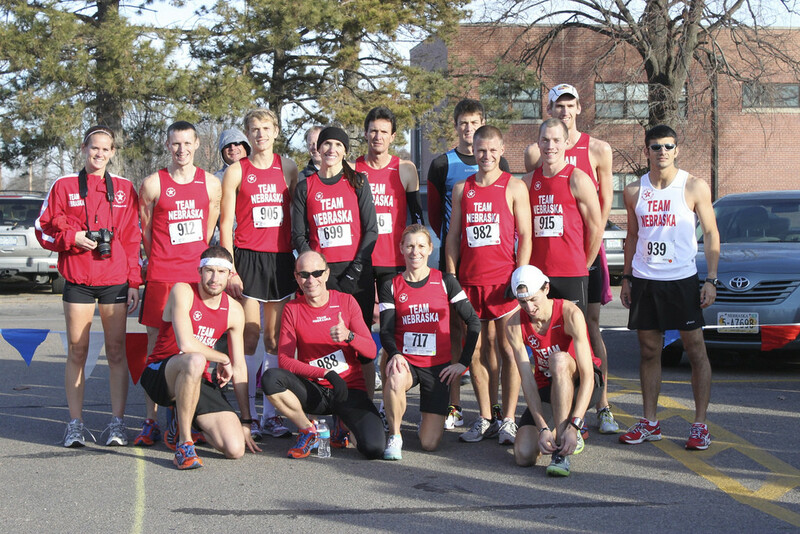 Nebraska Run Guru Elite will be doing its best to join you in making Nebraska proud at Saturday’s gun. Kevin Joerger, Grant Wintheiser, Drew Prescott, Jay Welp. NRGE’s contribution to Saturday’s competition. Giddyup! This entry was posted in Uncategorized on November 18, 2015 by runguru. Checked the results for the .US National 12K this past weekend. A lot of new names and fresh faces up near the top, making some noise. Molly Huddle (31) was the women’s overall and one of the longest in tooth. There were a slim few that joined Molly as athletes I recognize working with. But by far the field, as it should, was dominated on both sides with names that I’ve seen or maybe not. Young talent, the way of our sport. Good kids. I’m of the mind that there are plenty of good kids in Nebraska. An opinion shared by The Lincoln Marathon. The most important marathon in Nebraska. We’re lucky to have them. Supporting good kids. Walking the walk. Nebraska Run Guru Elite, Inc. is proud to have them as a Major Sponsor. As is LRC Racing. And Team Nebraska. And the thousands of dollars in scholarships provided every year. Fostering competition in Nebraska. Giving opportunities to those that deserve it, the Good Kids. This entry was posted in Uncategorized on November 17, 2015 by runguru. All these bonus weather days should be a boon to your training. Also a great chance to catch up and even get ahead of the chores. Steady working, the list dwindling towards the mundane now that the majors have been completed. Indication of where we are in life, bone tired at 8:30 Saturday night, and abed. Rising renewed at 7:30 Sunday morning. The longest and best night’s sleep in memory. And on the flip side of the word play, kudos to Logan Watley for pulling off the last minute USATF Nebraska Association XC Championships. Cobbled together on ridiculously short notice, he and his LRC Racing mates demonstrated a good understanding of protocols and rules, the importance of conducting our program’s business. Seventeen athletes, three clubs. Cole Marolf, representing LRC Racing was the best xc runner in the state of Nebraska yesterday, covering the 5K course in 16:28. 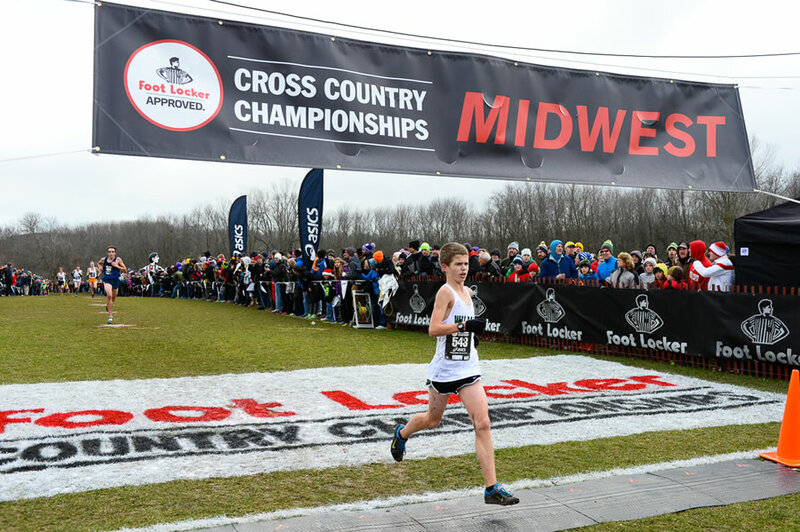 Nebraska’s best female cross runner on the day it mattered was Katie Nelson in 20:04. Championship racing. Now bring on Living History Farms! This entry was posted in Uncategorized on November 16, 2015 by runguru.